I know that for many of you, social media feels like a never-ending battle. As soon as you get accustomed to a platform, it changes. And as soon as you get some kind of increase in engagement, it suddenly drops. And quite honestly, it’s frustrating, so much so that sometimes you just wonder if it’s even really worth the headaches and hassles. As you can see from above, social media usage among all age levels continues to increase. Those who said they would never get on a platform, are now on. And those who keep shouting that they are leaving the platforms forever, soon find themselves back on again. Social media has become a part of our daily lives and as ministry leaders, it’s vitally important that we go where the people are and social media is where they are. The problem though that many leaders find themselves in is that no matter what they do, they are not seeing the results that they had hoped to see. And because they are not experiencing the success that so many social media “gurus” told them that they would experience, they are left wondering if it’s really worth their time. Today, I want to share a few trends and current practices that I’m seeing on Facebook (the #1 social media platform that every business needs to be on) that you can begin implanting right away so that ultimately, social media will be worth your time. Facebook Live is a must: Did you know that Facebook is predicting that in 5-years nearly all interactions will be video based and on mobile? And did you know that right now, Facebook Live gets the highest organic reach, meaning more people will see your Live video over any other post (picture, text, etc.) you place on your Facebook business page?As a ministry leader, Facebook Live needs to become a part of your strategy, starting today. Most people never make it to your Facebook page: Research has continually shown that the majority of people interact with your content from your Facebook page, in the newsfeed. And Facebook places posts in the newsfeed that get the most interaction. And right now, Facebook Live videos are getting the most interaction. So, if you feel like your page has become a ghost town, then grab your phone and start producing some live videos so that your audience can be reminded about your ministry. Post more videos: After Facebook Live, comes videos. Videos that are directly posted on Facebook, also do very well in organic reach. But here’s the key: Don’t post a link to your video, instead, upload your video directly to Facebook. Videos that are directly uploaded to the platform do much better than posts that contain links that take people away to another platform. Images are a must: Social Media expert, Mari Smith recently shared that images posted directly to Facebook and not through Instagram, were more engaging than images posted to Facebook via Instagram (which I see many business owners doing). Again, Facebook wants you to focus specifically on their platform. If not, your posts will lose reach and you won’t see the engagement you were hoping to see. 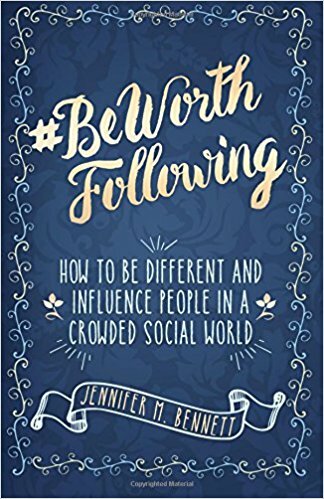 Following vs. Unfollowing: Want to know the BIG difference between someone following you and someone not following you? It’s all in your posts. If the majority of your posts are “broadcasted messages,” meaning posts that center around promotions and information, posts that only serve you, then people will not follow and if they did, they will soon unfollow you.But if you carefully craft posts that include emotion and posts that move people, then in turn, you are making a connection. And when you can make a connection, people will follow you.Here is the key: Effective online communicators connect with others before they expect or ask for something from the community. And honestly, this is where many business owners tend to get it backwards. You see, a connection has to come before a commitment. If we can stay focused on that, the importance of connecting first, then we will see that our community will take the next step in committing to follow us and eventually, partnering with us. So, is social media, specifically Facebook worth your time? You bet it is. But that’s the key, it will take time. It’s not just a post and go kind of platform. You have to really think through your messaging and with that, take time to create videos and images that will connect with your audience at a new level.